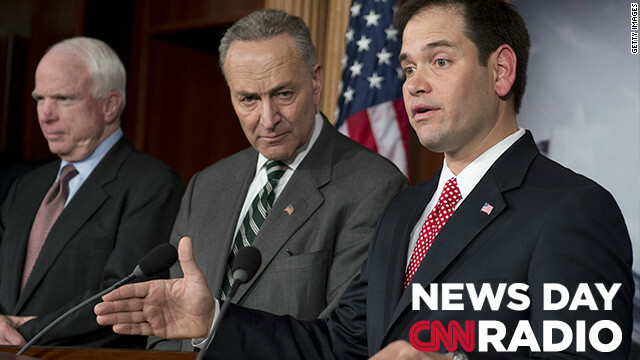 Senator Marco Rubio (R), Republican from Florida, speaks alongside (L-R) Senator John McCain (R-AZ) and Senator Chuck Schumer (D-NY) during a news conference on an immigration proposal at the US Capitol. "Other bipartisan groups of Senators have stood in the same spot before, trumpeting similar proposals. We believe this will be the year Congress finally gets it done." "It costs 36,000 a year to shelter a homeless family in New York City. In comparison, a rental voucher is $10,000 a year. So it’s more than three times more expensive to have that family in shelter than it is to give that family permanent housing." "All those things are helping to bring buyers into the market who had been waiting nervously, not wanting to jump in until they saw some signs of a turnaround."